As a real estate agent, you can understand your home sellers’ mindset. They’ve entrusted you with their most valuable asset, and now they’re waiting for something good to happen. And maybe they’re wondering, “Is my agent doing enough?” Homes & Land helps answer that question — “Yes.” When you advertise a property with Homes & Land, our Client Contact Program mails your sellers the magazine showing their home. It arrives in a poly bag with a cheerful yellow note. to see their pictures in the magazine, they love the glossy print, and they especially love the at-home direct mail. When it goes out to the public and they receive their own copy of it, they’re excited about it. 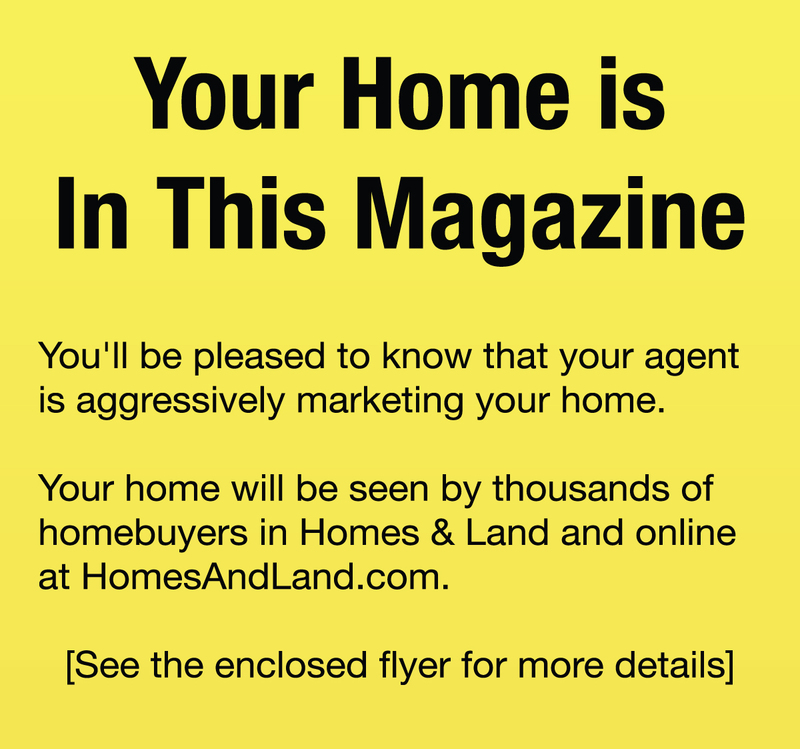 The mailed magazine also comes with a “Powerhouse Marketing” flyer showing homeowners that the magazine is only one part of a larger marketing campaign that includes direct mail to potential buyers, extensive online exposure for listings on 20+ websites, social sharing and a Virtual Tour. Realty team leader Robert McTague finds that while using nines might have been a good pricing strategy decades ago, the practice now may hurt a property’s odds of being found during an online search. His research shows, however, that there appear to be benefits to using prices featuring the numbers four or seven.